If you’ve been visiting this blog, you’ll know that I also love gin (see here and here). Gin and tonic is the go-to drink for me and my girlfriends when we go out. Or when we stay in. 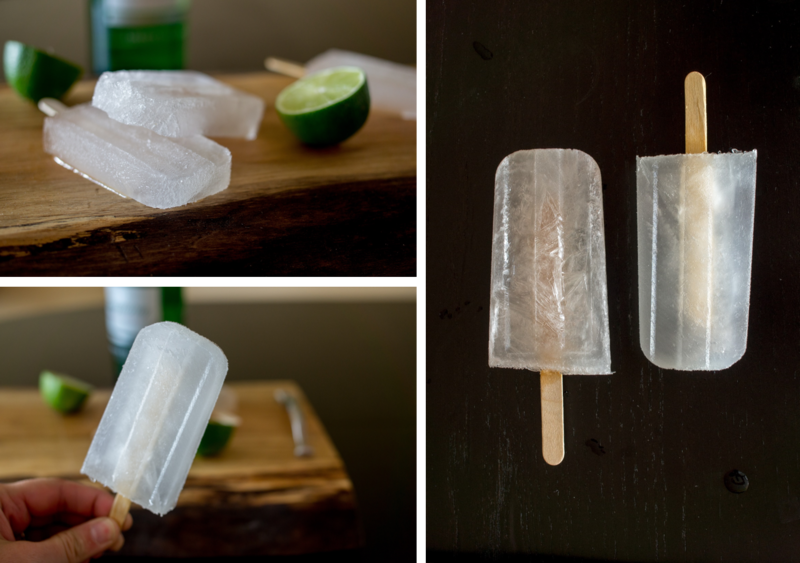 Naturally, a gin and tonic popsicle was the way to go when I got my new popsicle mold. But wait a minute, I thought alcohol doesn’t freeze? Isn’t that why you can store vodka in the freezer? Actually, alcohol does freeze! It just freezes at a temperature lower than your freezer reaches. In fact, the freezing point is proportional to the concentration of alcohol (ethanol) in your liquor. 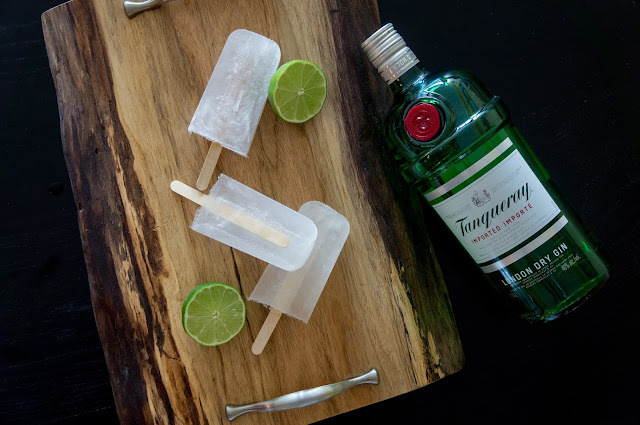 So the trick to these popsicles is to dilute the gin until the alcohol percentage is low enough that the freezing point can be reached in your freezer. The magic number here is about 18%. Since most gins are 40% alcohol by volume this means slightly more than 2x dilution. If we go right to 18% though, they will melt almost instantaneously when you take them out. So to protect your clothes and floors, we’ll dilute almost 4x, ending with about 10% alcohol by volume. The other variable here is the tonic. I had no idea whether carbonation would be a problem for these, so I made half with a freshly opened bottle of tonic and half with tonic that had been sitting overnight. What I got was two different popsicle textures. 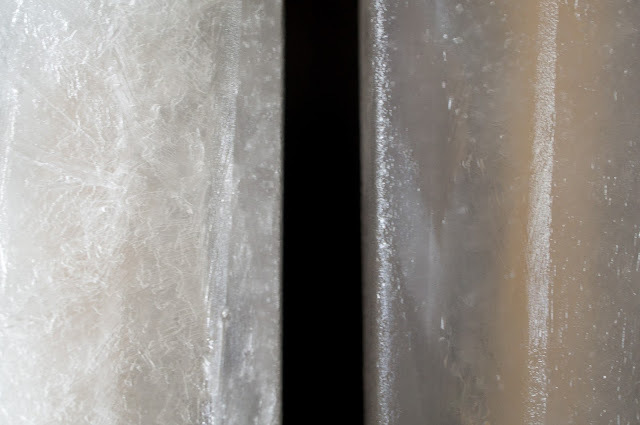 The carbonated one had large, obvious sheets of ice crystals while the flat one was uniform. This is because the carbon dioxide gas disrupts the freezing process as it escapes the popsicle, causing many separate ice crystals to form instead of one large one. Using flat tonic doesn’t change the taste though, so I would recommend it, if you can wait that long. It’s easy to forget that each of these is like drinking a cocktail, so be careful! 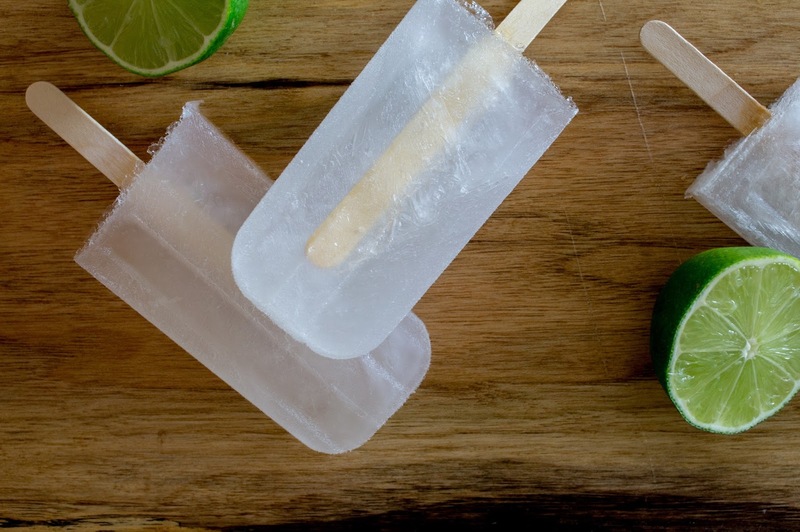 Combine all ingredients in a pitcher and pour into popsicle molds. Let freeze for about 2 hours. 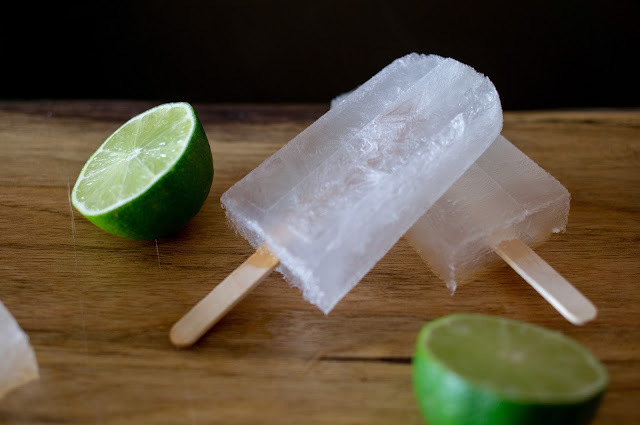 Insert popsicle sticks and continue freezing for at least 12 hours. Enjoy on a hot summer day! I LOVE this. 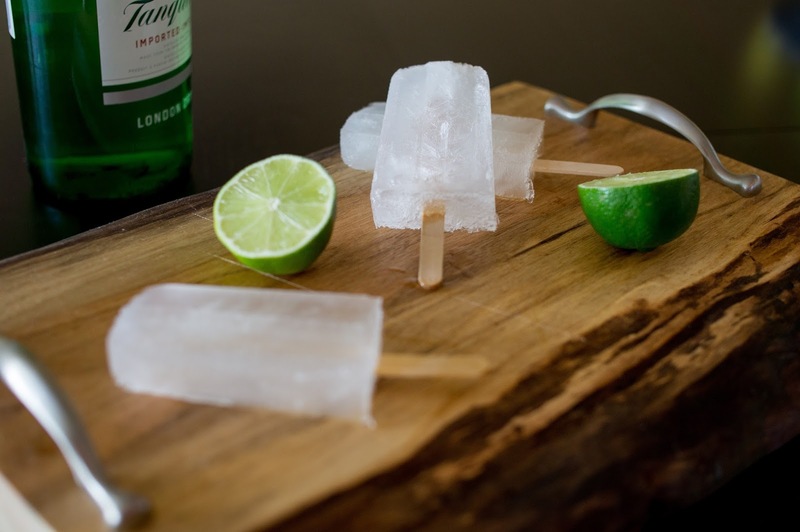 It solves two age old problems: "What do I do with my flat tonic? ", as well as "How do I keep a pitcher of gin and tonic cold without diluting the flavour?" - make gin and tonic ice cubes with the flat tonic and chill away. Thank you! That's a great idea! Cheers!